To paraphrase Dr. Seuss, have you heard Triptides’ album Afterglow? If not, then you should. These things are fun and fun is good. Mind you, the good doctor was actually referring to flying kites in bed and walking with ten cats on your head, but that’s neither here nor there. The point is, Triptides’ latest release is as an enjoyable way to spend 47 minutes with headphones on as they come. Triptides began as a project of Glenn Brigman and Josh Menashe in basements in Bloomington, Indiana, and they later relocated the band to Los Angeles. And a fitting home it is for this band, with its swirling, sunny melodic West Coast sound. They bring 12-string Rickenbacker jangle, more hooks than a champion angler, dreamy harmonies, and enough sterling production and effects to fill your head with sound. 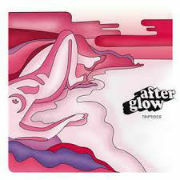 Afterglow doesn’t stray far from Triptides’ trademark sound from prior releases, but in this case the listener is the better for it. It ain’t broken, so no need to fix it. The whole notion of having to change one’s sound with each new album to gain cred with the hip crowd is a lot of hooey anyway, especially when a band can make music like this. Cherry-picking some faves, “Rewind” begins with a jangling riff, then it’s off to one of those impossibly catchy tunes, laden with underlying oohs and ahhs. Brigman and Menashe are masters of the deadpan vocals amidst a swirling maelstrom of sound variety. Then they layer so many watery effects that one starts to wonder if they recorded the vocals from beneath the methane seas of Titan. “Rewind” deposits you on a sunny beach, relaxed and contented. “What For” is perfect for lying on your back and watching clouds roll by, a slow meandering tune that takes its time to work its magic. Late in the song, it reaches middle eight all full of major seventh chord rapture that is even better than the verses and choruses and takes over the song. Is that legal? “What For” gives but a hint of the sonic elegance to come, which is “Throne of Stars.” This stunning track is so packed with sound and spacey endorphins, the mind can actually begin to create its own accompanying 4K Technicolor visual backdrop. What an amazing effect. Like I said, these things are fun and fun is good. “Resolve” is an up-tempo rocker featuring some great drumming by new member Shaugnessy Starr, as well as terrific retro-style guitar solos. “Moonbeams” is another easygoing lie back and soak up the sun piece with tasteful backing vocals and mellotron. Then there’s the title track “Afterglow.” When a band gives a song the same title as another from the past you already loved - in this case the Genesis closer from Wind and Wuthering - they set the bar artificially higher, whether intentionally or not. 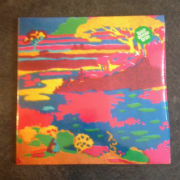 In this case, Triptides clears the bar, with a mellow, organ-driven piece to round out the album. Afterglow is palm trees and cool shades, a nice drive with the top down. Triptides flair for melodies and production is a breath of fresh air. Previous releases in this year-long series have included performers such as Michael Tanner, United Bible Studies, Sproatly Smith, Sharron Kraus and The Hare and the Moon amongst others. Subjects covered so far have been abandoned villages, derelict cold war infrastructures, conflicts in the land and also lost film radio and television recordings. This is the first time that the artists have left the Terra Firma and ventured spacewards; this record is a reflection on space explorations that have been abandoned or never realized, it takes as its starting point the British space program of the 1950s to the 1970s. The record starts with “OPS-4” from Field Lines Cartographer, a fine start, all bleeping, twinkling synths and deep bass throbs. “Lonely Puck” Pulselovers emphasises the desolate nature of being alone, of orbiting in space to some clanging metallic pulses and synth washes. “Chaika” Magpahi is fun, a sort of Wicker man in space, big fat synth squiggles and wooden recorders, accompanied by ghostly wails. 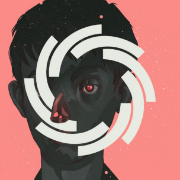 “Night Call, Collect” Howlround is slightly unsettling, sounding fairly sparse and forlorn. “X-3” Vic Mars, Vic follows up his recent solo album on Polytechnic Youth with this space epic, to a beating metronome we are bathed in analogue synth tones carving out esper trails in the cosmos. “Voyages of the Moon” Unit One is a scary, syncopated echoing tune that also reminds me in places, of what electronic frogs may sound like. “The March of Progress/ Frontier Dreams” A Year In The Country is the first of the tunes to have beats, albeit ones that sound like they are made by hammering, after a big introductory thunderous rumble, we have skittering percussion until somebody opens the hatch door and lets the solar wind in. “093A” Keith Seatman has beats a plenty like a wonky Kraftwerk after they have discovered Steve Birchall’s epic Reality Gates album, proper space rock. “Phantom Cosmonauts” Grey Frequency is a soft droney affair that goes nowhere but that is its point, carving out great synth arcs through the galaxy. “Adrift” Time Attendant begins with some echoed indecipherable vocals, accompanied by glacial synth lines before introducing barely there percussive bleeps, nice. “Mlecny Perhelion Weekend” Listening Center take us to a strange ticking otherworldy place, a place that feels at once vast and infinite, a haunting slice of space music. “The Amateur Astronomer” Polypores unfolds at a leisurely pace all bleeping twinkling analogue synths that coalesce into strong synth lines over really gentle beats. The record ends with “Landfall at William Creek” David Colohan spectral hammered dulcimer, peels away into the inky vastness of space, a beautiful end to a fine record. The Restless Field is a study of the land as a place of conflict and protest as well as beauty and escape. Taking in the beauty and escape of rural pastures, intertwined with an underlying unsettledness in the bucolic countryside dream. Being partial to a bit of field walking I was very much looking forward to this and it didn’t disappoint. Sinister foreboding tones introduce us to a submerged world of sound from the Field Lines Cartographers. Vic Mars follows up his recent sterling work on Clay Pipe and Polytechnic Youth with “Mortimer’s Cross”, bells and harp strings twinkle away nicely progressing through to some Vernon Elliott style woodwind. Bare Bones scraping informs “(fears) avaunt! Upon ‘the’ Hill”. Assembled Minds inject some modern beats into the proceedings; it’s a squelchy affair, hyper real. Grey Frequency with “Agrarian Lament” has the feel of a drowsy summer afternoon with much birdsong, getting all warm and sleepy now. Endurance continue to bathe us with some warm languid tones, lying beneath the cherry tree slowly awakening from a narcotic fug with some delicate electronics chirruping in the distance. Listening Center come up with the goods again, with a cool haunting slice of electronica, before Pulselovers shake us all from our reverie, with some strident synthscapes ; very eighties, early Human League. Sproatly Smith up next with “Ribbons” acoustics and electronics meet with organ, piano and massed hushed vocals, before Polypores arrive with what sounds like a whirring helicopter overhead, yielding to the tones of a synth’s pulses and washes on “Graveny Marsh”, bleak and misty with sonar glitches, then off they fly again, leaving DePatterned to tap out a signal on “Last Best West (1896)” a feeling of ennui, a slow, soporific, electronic Morse. Meet the Avant Garde’s Addams Family. Only this lot don’t play it for laughs, no sir. Here we are undead, lost and abandoned. Or as Lydia Lunch (yes the very she) would have it, “there is a future in death”. Lydia Lunch is an ordained reverend of the Universal Life Church. Dahm Majuri Cipolla, a descendant of the late Edgar Allen Poe, has been interested in undertaking and the funeral arts since a young boy and is married to a mortician. The rest of the band are probably just a bit weird. Glee Club it ain’t and should we care? Well not a jot. Your scribe is a great believer that if you’re a bit down, go down further and you’ll end up feeling a lot more chipper. If you’re up there in the first place then what’ve you got to lose except your sense of humour and maybe your sanity (overrated in my view). Dahm Majuri Cippola is reputed to have written ‘Loser’ with a 102 feverdreaming about what could be the saddest song he could write. Well here’s a pretty decent stab at one. Lydia’s wonderfully cracked voice, not so much lived-in as hollowed out sounds like Thalia Zedek impersonating Marianne Faithful at karaoke. A parched, dust bowl treatise on hopelessness and despair and yet is that a glimmer of light, the diamond ring around the eclipse. The elegiac jazz of ‘Last Time We Met’, meanwhile (“I’m writing letters to a dead man, I’m writing songs to another ghost” and “I’m making love to his ghost” A different kind of love song then) is guaranteed to clear clubs at 4am. Apart, of course, from us vampires and nights talkers hugging the darkest recesses. See me in my office. Ben Lord gets a crack at some pretty pallid vocal limelight and comes across a bit Wooden Wand. Our twilight glimpse of his resigned mumble is on ‘Prey’ an outstanding duet with Lunch which is the sound of dry rot being exorcised by funereal percussion, incantation and some rather sprightly flute. By god it works, and the unrelenting buoyancy continues on the leaden skies piano plunk of ‘Soon I Will Be Gone’. It’s almost parody but not quite. Delve under the shroud of misery and there is a strange yet undeniable beauty to this. Why, fans of Laughing Len or even Lou Reed could get off on this. “Lover Have Mercy”, meanwhile, features Lunch in all her mouldering, mewling morgue-like majesty and makes a Nick Cave murder ballad sound annoyingly upbeat. The almost sprightly ‘I Fell From Grace’ only serves to put everything else into amorphous relief. 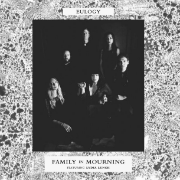 Normal service though is resumed on ‘Dust And Shadows’, Lunch’s anguished spoken word vocal over a noir jazz track evoking an irrevocably damaged Patti Smith consumed by an unmentionable grief. After three “I want to take your soul right now”. They’ve got mine, you know. The prolific “Der Doktor “, Chrisitian Koch, and company follow up last autumn’s outstanding Wake Up Before You Die (and a couple of storming live releases and career round-up) with a most welcome collection of new material. According to Buddhist lore “mushroom mantras” are small mushrooms painted with prayers and blessings. In this context it is understandable that the album is drenched in eastern symbolism and structures including two universal peace mantras and a whole load of primary coloured psychedelic excess. Unsurprisingly there is heavy reliance on electric sitars and tablas, while that always popular state of the ark technology, Theramin and Mellotron, also weave their hallucinatory magic. The bonus tracks here are a series of unearthed recordings from the early 1990 entitled ‘Krautfaktor I-III’. Top notch ambient electronic experimentations with a few twitchy beats that even now you can imagine seeping from the late night corners of some of the more interesting gatherings that existed in the wake of the free festivals and acid house. Do they still have those? No matter, these do the job and which as icing on the cake help make this latest Vibravoid offering an absolute aural pleasure. There again when are they ever anything else? PURE PHASE ENSEMBLE 6 feat ANTON NEWCOMBE – LIVE AT SPACE FEST! Pure Phase Ensemble is an eclectic shape shifting group of musicians who each year come together in December during Gdansk, Poland’s annual SpaceFest! (The exclamation seems to be part of the festival name as in Shindig!). Guided as usual by Anna Szynwelska and Karol Schwarz of Nasiono Records, the 2016 incarnation was led by Anton Newcombe (Brian Jonestown Massacre) along with Emil Nikolaisen of acclaimed Norwegian rockers Serena Maneesh. Intrigued? Me too, so follow me, reader. Starting placidly enough it starts lumbering into it stride on ‘Sorry, Not Sorry’ and a vague narcotic shoegaze begins to take shape, a little queasy perhaps but once you get used to the feeling not an unpleasant experience at all. What follows is the refined, gossamer light atmosphere of ‘Popol Vuh’, quite possibly the most affecting and beautiful piece I’ve heard in quite a while. It really is textbook stuff and really quite breath-taking. Hawkwind make an appearance (metaphorically speaking) with the four to the floor space boogie with a motorik base sauce of ‘Balwan’ which also borrows some mid-80s guitar from The Cult. Toes were duly tapped, then. The haunting industrial Faust/Einsturzende Neubauten sense of ‘Tetno Pulsu’, indie stoner of ‘God Drugs’ (a heavier crushing version of what Newcombe does with BJM and Tess Parks) and a good ol’ stomping finale in the form of ‘Getting Bored’ form the remaining substantive rump of a most varied, interesting and entertaining set. Indeed it’s always difficult to gauge how these scratch bands with “name” artist attacheds are going to go. I’ve seen a few thrash about in an under-rehearsed, indifferent or whacked out quagmire of their own making. Thankfully this one’s a hoot with a couple of genuine pearls that deserve a wide exposure. Having seen these guys playing a cracking set recently in the bar of the Golden Lion pub in Todmorden (which based on recent gigs is increasingly becoming the compact and bijou centre of the Yorkshire musical universe), I was keen to hear this new record and I’m not disappointed. Whilst the record retains the basis of White Manna’s expected and extremely satisfying soundworld with the mighty Hawkwind and The Stooges springing to mind, things are beginning to move on up with something of a different feel and structure to this record from its predecessors. Things starts strongly with the roaring title track – a metallic stomper that sets the tone for a more hook laden record than might be expected. 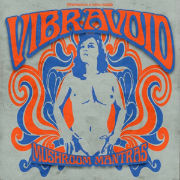 ‘Vimanas’ has a great Velvet Underground garage rock feel until it takes off in search of space towards the end. ‘Trampoline’ is another fine Motor City style rocker with a huge riff and a touch of space rock on top. Next up is ‘Invisible Kings’, my favourite track on this outing with a deep echoing sound and a wonderful change of pace and feel from the rest of the album, taking a break from the driving riffs to give us a dramatic and atmospheric swirling psych rock gem. I’m not entirely sure why but I can imagine Ian McCullough singing this song at the Bunnymen’s treasured early eighties peak when I for one would have loved them to move on to explore their psychedelic influences rather than giving us pedestrian pop anthems. ‘Speed Dagger’ and ‘English Breakfast’ follow and are a cracking pair of tunes, heavy, melodic and memorable. ‘You are the Movie’ is a much messier ‘live’ sounding affair, starting slow, shambling and a little uncertain on its feet before picking up speed and volume to its concluding cacophony – it’s a bit out of step with the feel of the rest of the album but a great racket nonetheless. ‘Freak’ signs off the record with a motorik riot of drums, guitars and shout along lyrics, perfect to whip up some head shaking and shape throwing for a storming concert finale. 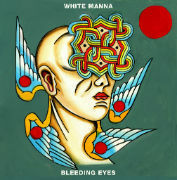 In many ways this is White Manna’s ‘pop’ album and very different to previous releases such as the majestic ‘Pan’ with lots of memorable hooks and irresistible riffs packed into shorter (but not short) songs whilst maintaining the power, space and freedom characterising previous releases. The drums are a real feature of the sound placed high in the mix and driving the songs very effectively indeed. There is some glorious guitar weaving its way through the record, almost at times like a long wailing jam with some very smart songs popping up at appropriate intervals on the way. If you haven’t done so already, catch these guys live if you can and you won’t be disappointed. In the meantime grab yourself a copy of this fine platter – manna indeed! 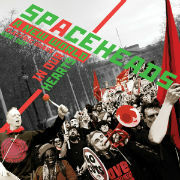 Spaceheads, veterans of two Terrastock festivals (2 and 3), have been together since 1990 and have released twelve albums. The band consisting of Richard Harrison on percussion and Andy Diagram on trumpet, this latter being put through live loopers and harmonizers. 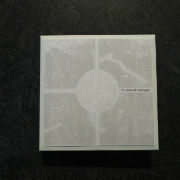 The 13 tracks on the CD are each inspired by particular movements and moments in time, a celebration of people power. The CD starts with ‘The Revolution Sashays up the Mall’ packed with ska energy; ‘What is to be Done?’ has a deep rock sound which left me researching to see who was playing guitar, only to discover that those sounds really were coming from a trumpet; ‘A New World in Our Hearts’ takes the tempo down a touch before gradually picking up pace; ‘The Starry Plough’ has a delightfully bluesy feel reminiscent of Superfjord’s version of ‘A love supreme’; things get livelier with ‘Space Rebel’; ‘Diggers and Dreamers’ a tender atmospheric track; ‘Laugh in the Face of Power’ has a modern feel to it with a punchy beat; ‘Fanfare for the Exiles’ has a traditional trumpet sound with a richness and depth that is a joy to the ears; a suitably dark melancholy starts ‘To the Children of a Wiser Day’ building to soaring heights as it rises and shakes off its chains, one of my personal favourites of the album; ‘Arise’ the shortest track on the album rapidly moving from peaceful chimes to crescendo; ‘May the First’ a smooth dub beat celebrates international workers day; ‘Sitting Down at Standing Rock’ brings us bang up to date in period and sound; ‘Mon’s Dream’ is a drifting floating track of delight. A deep, rich and powerful album that gives far more than the number of musicians and instruments might suggest. 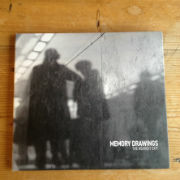 The Nearest Exit is the third album from Memory Drawings. They set out this time to create a sprawling record, which is most commendable, an abandoning of typical verse chorus structures. The band consists of Joel Hanson, Richard Adams, Sarah Kemp, Gareth S Brown and Chris Cole. Joel plays the hammered dulcimer along with keyboards. Richard plays guitar, bass, accordion and also keyboards, Sarah violin, Gareth piano, Chris cello, drums and percussion. The record starts with a solo sparse piano motif before the sublime “A Shining Path Of No Return” is ushered in on taught bass and enveloping percussion, before the tune is picked out and dictated by some beautiful hammer dulcimer, superb track this, a real Saturday groover. “Subtle Transformation” has some beautiful violin lines arcing out from the heart of this terrific tune, a pretty, narcotic dub -styled syncopated one. “The Nearest Exit” is exquisitely graceful and tender with some fine ensemble playing and has an eastern flavour. “Time For Something More” a sad piano figure brings about a sudden mood change. “Not My Finest Hour” builds nicely with fine bass and violin throughout, really percussive due to the dulcimer and drums but still with traces of narco-dub. This is when the disc stopped, after track six, which lasted the 42 minutes stated on the timing display- but according to the disc there are another 5 songs! Leaving me a bit confused, so maybe some of the tracks bleed into others, but you get the drift. A fine neo classical disc, for fans of hammered dulcimer post –rock, with classical leanings. Some copies come with a bonus disc of remixes and reworks by the likes of Isnaj, The Declining Winter, The Leaf Library, The Humblebee Orchestra and Astronauts etc. Pete International Airport is a project from Dandy Warhol guitarist Peter G. Holstrom, along for the ride are members of Black Rebel Motorcycle Club, The Black Angels, Hopewell and Brian Jonestown. “Even Happier” kicks off with a lilting tune decorated with some nice pedal steel, could be Josh Rouse, has some cool fuzz guitar too, not at all what I was expecting. “Senorita” sees Lisa Elle on vocals, nice piano over a cool electro beat. “Hurray For The People” sees Peter joined by Jsun Atoms, maybe a bit techno for me but does have some nice synthesised vocals going on. “Flowers of Evil” takes us to the jungle, a trippy, slippery baggie tune with some nice keyboard sounds, sung this time by Robert Levan Been. 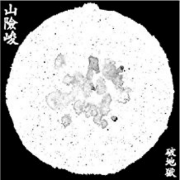 “VHS or Beta Fish” again features Jsun Atoms; this track is a bit Pet Shop Boys in feel for me. “Love In Reverse” features Jason Sebastion Russo and is a quirky electro pop song which failed to engage me really - probably the eighties feel to it. Side two and “Western Shouting “ sees Peter joined by Alex Maas, it’s slightly reminiscent of The Safety Dance, a hit from somewhere back in the mists of the mid eighties. “Dance around the Broken” has Daniel Sparks, this time a loose eighties groove inflected indie rocker, with plenty of delay and reverb. “After All” another song with Jason suffers a bit from very busy percussion and again has an eighties vibe. “Happens all the Time” slows done the proceedings with a lush tropical song, which features the voice of Herman Jolly, over a sultry electro bossa nova. The tape ends with “Cloven Hooves” here Charlotte Engler and Josh Kahlberg share lead vocal duties, it’s a fine end to a ludicrously limited cassette, there are only 50 copies out there. The second release from Eggs In Aspic is the wonderfully titled Monster Killed By Laser with Hall Of Spheres. Monster Killed By Laser have released a couple of singles so far and now unleash their debut album proper. Again limited to 50 cassettes available from www.eggsinaspic.com . A slow synth pulses, ushering in the first track, before long a Frippertronics “Frame By Frame” esque guitar appears and maps out the tricksy time changes, so far so prog! We fade to distant voices, then all hell breaks loose and we are in full prog territory for a spell, before things fade, some heavy riffing then takes us somewhere else. Vintage spy theme synths twinkle over the whole thing along with some big ‘almost gated ‘drums emerge, to drive things along, then we are in eighties territory with some big squelchy synth lines. Things turn a little heavier and lend a soundtrack feel. Plenty of lead guitar splatter forth this is when things turn a bit mad, all over the shop, eventually slowing down with some dreamy keyboard textures, light and spacey, some sci- fi synth action and then some tight rhythm guitars muscle into the fray, a bit more Frippertronics, more bug drums, all knitted together with some heavy synth, riding out on a big loping rhythm, promising start from the Monsters. 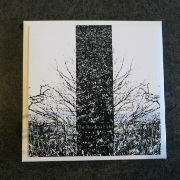 Sunstone records have a new Balduin album out, ‘Bohemian Garden’ on 150 clear vinyl copies. Balduin hails from Switzerland, not the natural home of this type of baroque psychedelia which arrives as if the last forty years have not happened, playing a mixture of mid period Beatles, Zombies and all things 1967. “Bohemian Gardens” announces itself with harpsichords, bass, guitars and drums accompanied by multi tracked vocals in a breathy Colin Blunstone way; it also reminds me of English band The Clientele, colours fly. ”Leave to Seek the Light” sounds at once familiar, a feeling that this must be some classic song from this time frame that you just can’t put your finger on, nicely baroque, a term I think I might use more than once during this review. “Cap Frehel “shimmers in an acoustic vein with some tasty vibraphone, a pretty little instrumental with descending electric piano. 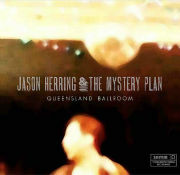 In this, their latest album Jason Herring and the Mystery Plan have decided to move away from their signature psyche folk to a more chilled electronic style. The band consists of Jason Herring - piano, guitar, vocals. Paul Jensen - guitars, keys. Otis Hughes – bass. Patty McLaughlin - flutes, vocals. Jeff Chester - percussion, drums. Amy Herring – vocals. The involvement of John Fryer in production gives a promise of good things to come. The moment the first track ‘Electric Love’ started I knew I was in for a treat, a deep mellow tempo and Amy’s breathy vocals giving a spine-tingling edge to a deliciously powerful deep chill track; ‘Vampires Are Lucky’ gives a glimpse of the psyche roots of the band whilst not breaking away from the laid-back atmosphere; in ‘Oola Heatray’ we again encounter hints of psyche with electronically enhanced vocals and an Indie pop feel; ‘The Golden Moon and Silvery Sea’ start out with a tasteful bass line before bringing in soft, gentle vocals to create a hypnotic ambient mood; the use of hand drums, flute and haunting vocals with a distinct flavour of psyche on ‘Chocolate Milky’, make for a distinct change of style without deviating from the overall mood of the album; ‘Electric Love (Paul Jensen Mix)’ is a different take on the opening track giving it a more punchy drive, whilst possibly, in the process losing some of the depth of atmosphere of the original; ‘Vampires are lucky (That Guy Smitty Mix)’ gives an electronic, up tempo beat to the track; the simple classical piano sound of ‘Night Time Butterflies’ brings a complete change of mood giving a delightful interlude; the Paul Jensen mix of ‘Vampires Are Lucky’ provides a sultry, late night club feel to the original that works beautifully; ‘Where Did You Go’ takes us back into classical territory with cello bringing a honey rich sound to the mellow depth of the track; ‘Early Morning Hours’ closes the album with a soothing ambient floaty piece that perfectly rounds off the session. This is an excellent album of thoughtfully assembled pieces, that proved to be a real delight to listen to. It will appeal to those who enjoy Solar Fields, Mogwai and Thievery corporation. NATHAN HALL AND THE SINISTER LOCALS – THE VOLGA STURGEON FACE E.P. You know it’s yet another sign of disorganised old age when you’re fumbling around on the desk for something you could have sworn was there three weeks – or was it three months - ago only to find another package of which you only now remember receiving and thinking “I must have a listen to that in a minute”. So it is with profound apologies to Nathan Hall and The Sinister Locals and probably Keith Jones of Fruits de Mer who I think sent it through that this is only now seeing light of day. 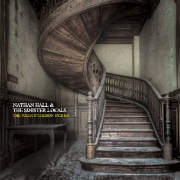 Unsurprisingly given that Nathan Hall is their chief songwriter there is not a huge stretch of running water between these four tracks and the always welcome and reliably skewed offerings of Cardiff-based Soft Hearted Scientists. All the basic ingredients are here, disarmingly simplistic circular verses, a very British, often pastoral beauty and the occasional twittering synthesizer all masking a slightly macabre or mischievous message. Hall it must be said is something of an imp and you often have to delve beneath the ditties to grasp their true meaning. ‘Everybody's Burning Effigies’ is a short blast of baroque pop which begins with hubble-bubble analogue synth (I still want one after all these years) and ends with a slightly discordant and ominous blast of keys and guitars. It’s a song for which striped blazers and letting off cans of purple smoke were surely invented. ‘Song for the Flowers’ features many of the Hall-marks of Nathan’s songcraft, that is to say deceptively dreamlike pop harmonies and repeat refrains, the sunshine sensibilities being something of a Trojan horse in which lurks a darker subject matter. The highlight of this short prelude to the band’s debut album is the chugging ‘Like a Setting Sun’ which sounds like My Friend Jack by The Smoke as interpreted by peak XTC tripping out on the chalk hills. Sweeping the field is ‘Catacombs of Camden Town’ (which may or may not refer to the overcrowded but still interesting in places Camden Lock Market) and is the equivalent of the amaretto biscuits with the coffee, that is to say the least essential course. It’s Hall in his ‘Matchstalk Men…’ mode and which again belies the more wistful, brooding subject matter. Right, hopefully we (note the collective responsibility for one man’s abject failure) have atoned for the terrible oversight. Now please send us the new album to review (pretty please if it will really help). Straddling more genres than most of us have had hot dinners lately, Nick Nicely intricately (some might contend overwrought) production values employ more twists and turns than a mass gathering of double jointed yogis. Cluttered with queasy and claustrophobic loops and beats that owe a lot to trip hop and lacquered ambient dance as well as the more traditional influences of his ‘Hilly Fields’ heyday, Sleep Safari scores like a journey through some Neil Gaiman- imagined metropolitan netherworld. Indeed ‘London South 2’ (Grasscut mix) shows that, although Nick is now resident in Germany, he remains a London boy at heart. It’s a rework of the final single to be taken from his laudable 2014 comeback Space Of A Second and serves as an ode to the darker underbelly of a city that has otherwise become a rich person’s playground - a sweeping touch of rather wistful English psychedelia characterised by shimmering guitars and Nicely’s trademark layered and elaborate arrangement. The Grasscut mix serves to add further ghostly pall to the already haunting atmosphere. ‘Rainmaker’ could be the moody Faithless tune, that one when they aren’t just jumping up and down to the same three note sequence, underlining the old school charm of something which could have been so cutting edge as to have required multiple stitches 20 or some years ago. It also lays a strong claim to being the album’s stand out cut. Likewise lead single ‘Ghostdream’, which reprises Nicely’s occasional penchant for quoting dates, would have sounded outlandishly challenging in the era of ‘Radio Ga-Ga’ and which is still diverting enough, marked out by interesting juxtaposition of digital technology and plaintively sparse harmonica and guitar. Finally another track that may tug at some readers memory banks is the exquisite, reverb drenched ‘Dance Away’, a version of which, in 2015, Nick was good enough to contribute to Terrascope’s Paper Leaves LP (2016). All in all a collection of Somnambulist’s tales from the man once described as the greatest pop star that never was. 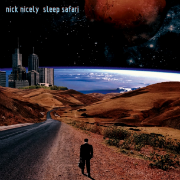 Sleep Safari is unlikely to update this status but it’s reassuring to know that Nick Nicely remains a viable and creative force. Taiwanese duo Scattered Purgatory are among the most alluring and enigmatic acts around and this was met with great anticipation and delight when it landed in the old inbox. What to all intents and purposes seems like a basic format of psychedelic drones and lightly tapped percussion is misleading as layered ethereal drones plumb deceptive and most delightful depths. Sua-Hiam-Zun is a calming and cleansing green-tea infusion which while holding true to their Taiwanese folk roots also brings very much to mind the likes of Popol Vuh, Cluster and Harmonia. At the same time, the hypnotic percussive accompaniment renders them much more like an ambient 21st century Third Ear Band rather than sludgy riff monsters like Sunn 0)). The pinnacle of the album, indeed one is tempted to say of perfection, is the eight minute ‘Dream Of The Yellow Sorghum’ which meanders and flows to a plateau of raised and restful consciousness and which brings to mind our old mate Black Tempest (another Paper Leaves contributor it should be said). The closing ‘New Gate’ is possessed of more urgency but really there doesn’t seem to be an angry bone in this body of work. Instant detox without the need for anything complicated, nasty or particularly expensive, proving that not everything sounds too good to be true.